Shortgrass prairies and abandoned agricultural fields with shrubs, small trees, fences, or other perching sites. A black mask extends over the eye and across the face over the bill. There is no white stripe over the eye. Northern Mockingbird (Mimus polyglottos) is slimmer and has a slimmer bill. It does not have a black mask. 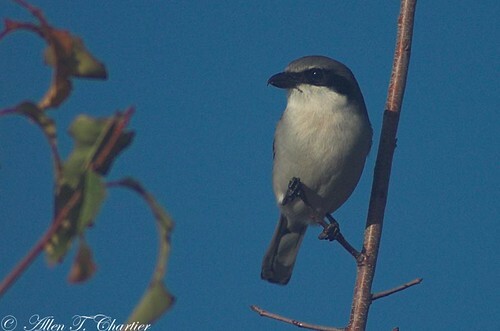 Northern Shrike (Lanius excubitor) is only seen in Minnesota in winter. The black mask does not extend across the face over the bill. The stripe over the eye is white. Mostly large insects but also small birds, rodents, shrews, amphibians, and reptiles. 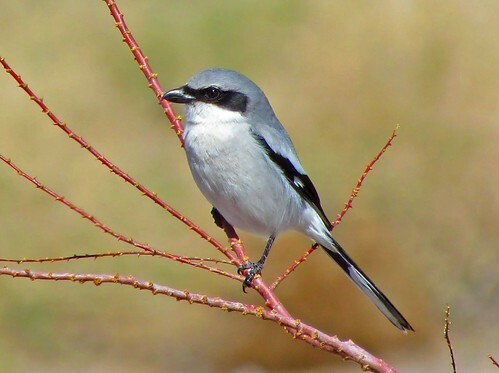 In 1984, the Minnesota Department of Natural Resources (DNR) classified the Loggerhead Shrike an endangered species. In 2013, the DNR elevated its status to endangered. 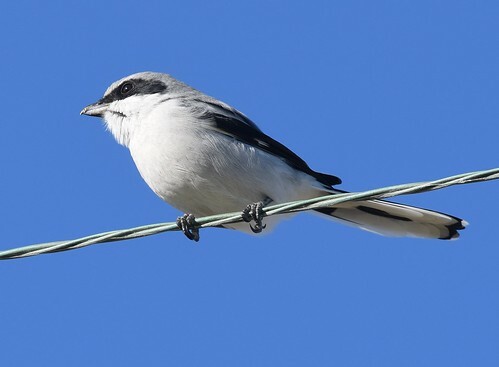 Loggerhead Shrikes are the little song birds that act like much larger birds of prey. Instead of killing with talons like a raptor, these birds kill with their beaks. Victims are then impaled on a thorn to be eaten, piece by piece. At least he looks cute!